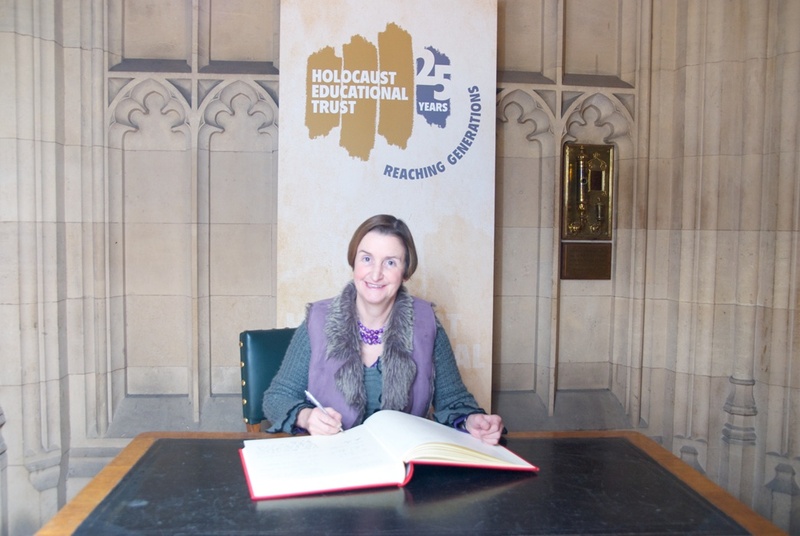 Nia Griffith MP has signed a Book of Commitment in the House of Commons, in doing so pledging her commitment to Holocaust Memorial Day and honouring those who died during the Holocaust. Sunday January 27th will mark the 68th anniversary of the liberation of Auschwitz-Birkenau, the Nazi concentration and extermination camp which is the site of the largest mass murder in history. In signing the Book of Commitment, Nia paid tribute to those who perished during the Holocaust and honoured the extraordinary Holocaust survivors who work tirelessly to educate young people about what they endured, through the Holocaust Educational Trust’s Outreach programme. In the weeks leading up to and after Holocaust Memorial Day, thousands of commemorative events will be arranged by schools, faith groups and community organisations across the country, remembering all the victims of the Holocaust and subsequent genocides, and reflect on the importance of coming together to oppose prejudice and hatred.